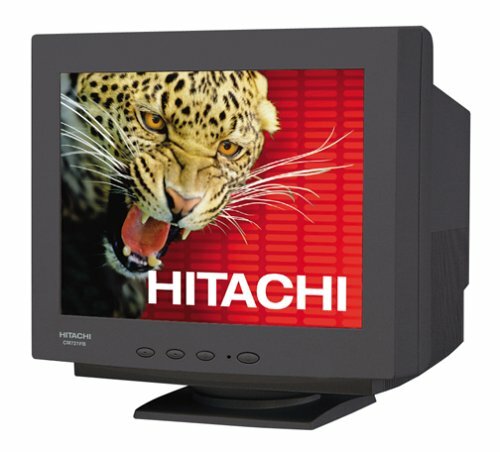 Hitachi presents its CM615U-511 monitor with minimal curvature. 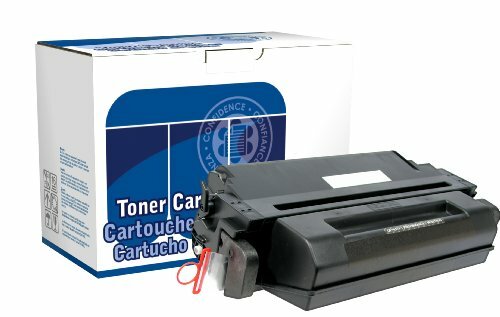 In addition to the nearly flat screen, the 17-inch (16.1 inches viewable) image produces vibrant colors and crisp text in a flicker-free performance, which is ideal for any business or home office that demands flexibility and fine resolution from its monitors. The maximum resolution of 1,024 x 768 dpi delivers sharp images at 85 Hz. 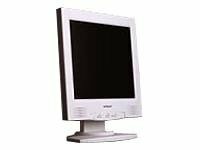 A high-contrast antistatic, antiglare coating reduces viewing strain. A dot pitch of 0.23 millimeters horizontally and 0.14 millimeters vertically provides sharp, crisp focus. A tilt/swivel base optimizes visibility, even if you are not sitting directly in front of the screen. 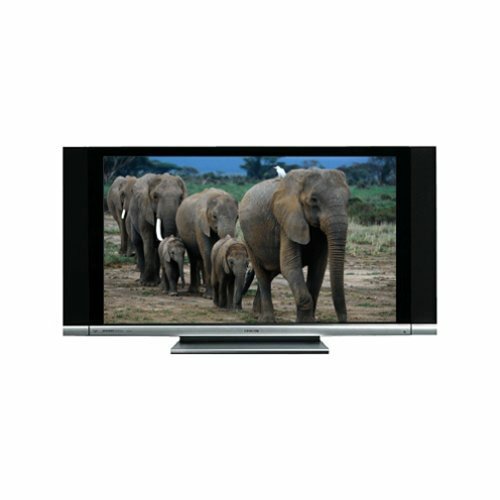 The monitor features practical, easy-to-access, up-front controls for RGB color, white balance, brightness, contrast, horizontal/vertical positioning, and more. The black matrix with invar shadow mask and dual dynamic focus ensures that your crucial data and images are precisely displayed. 1.5 weeks old, it screams (and I mean LOUDLY) at lower resolutions such as those your system goes through before reaching the Windows desktop. The red color gun is badly out of alignment. It doesn't retain screen resolution settings well, such as height, position, etc., when switching resolutions to one you've setup previously (big problem for gamers). And it's blurry in spots, not something I'd expect from a .20 dot pitch monitor. 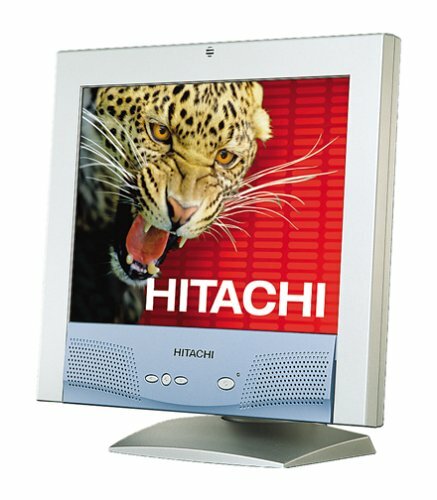 Save some money and get a better monitor: buy a ViewSonic. Just returned my Hitachi for one myself. This TV has a pretty good picture. However, if you use the Time-Warner HDTV cable box, there appears to be an incompatibility. The picture breaks up badly (like a mal-functioning vertical hold) when any channel is switched using the hi def cable box. It stabilizes then breaks up again while watching. Does not matter if you are watching regular or HDTV channels. Also, HDTV cable boxes apparently require inputs to the TV via the component inputs. No problem. But when you do this, the TV disables the audio volume level. It disables the output of RF signal back to the cable box when component video watched. It disables PIP also. Wow! Check the online users manual before buying, since they warn users in the manual of what will not work when using component video input. The owners manual is pretty good at laying out your options and how to connect. The TV has only one set of component inputs, so be careful to figure out if this is enough for your setup. Though full-size VHS camcorders are becoming less and less common, somepeople still prefer them to newer, smaller models. Despite their larger size,standard VHS camcorders offer two advantages over VHS-C and 8mm cameras. 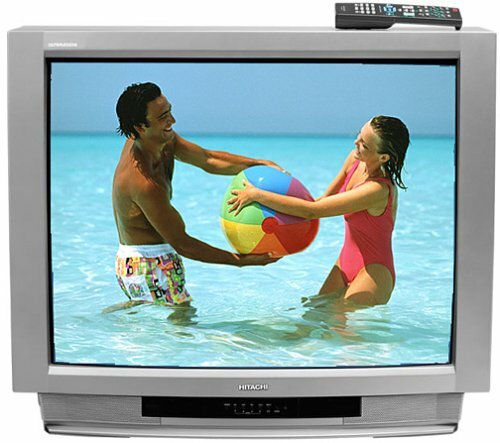 First,the tapes can immediately be played through a VCR, rather than using an adapteror requiring the camera to be connected to the TV. Second, the shoulder-mountedshooting style necessitated by the camera's size makes it much easier to shootsmooth, steady videos. The VM8500LA features a 16x optical zoom, as well as a240x digital zoom. The camcorder can also shoot in as little illumination as 0.3lux, and if it's too dark for good footage, there's a built-in auto light. Fivedigital fades and five digital effects give you the opportunity to add a touchof professionalism to your footage. Digital image stabilization helps to keepthe shakes out of your videos. To compose and review shots, users have twooptions: a black-and-white optical viewfinder and a 3-inch swivel-mounted colorLCD. A built-in playback speaker lets you hear mono audio from the footageyou've just shot. A manual character titler also lets you label the footageyou're shooting. The SWX series 57SWX20B offers a superb blend of unequalled performance, user convenience, and contemporary styling. 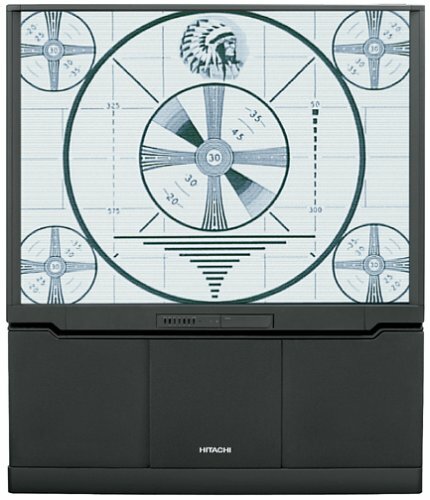 By coordinating the design of all key components from source to screen, Hitachi delivers ultrabright, razor-sharp rendering of both high-definition and conventional programming. 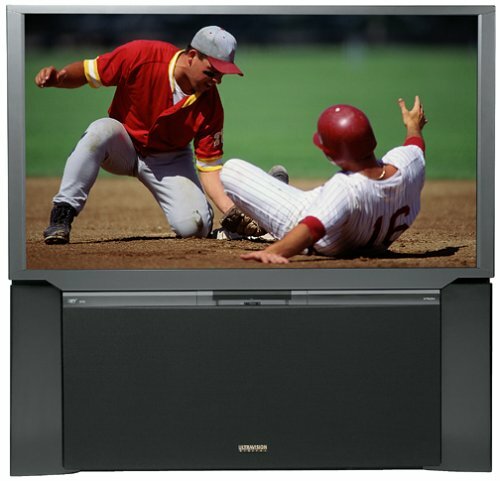 The set's AV NET user interface provides onscreen control and operation of external system components, such as DVD players, VCRs, and audio-video receivers. And a DVI digital input even accommodates newer-generation digital high-definition set-top boxes (a set-top box or separate HDTV tuner is required to enjoy full HD programming). I purchased my Hitachi after doing several comparisons. The fact that Hitachi makes their own components is a huge reason their TVs are the best. They have control over the entire process of building the sets. DVDs are simply fantastic. My DVD/Home Theater system is not a progressive scan system yet I would challenge anyone to notice the difference. Cable is acceptable and usually depends on the signal quality which determins how good the picture is for analog. VHS tapes are okay but I can hardly wait til I can go DVD recording and dump my VCR( after I transfer my tapes to DVDs). Sound is also VERY good. All in all I'm extremely pleased with the set. Weighing in at around 2 pounds, Hitachi's VME545LAVP 8mm camcorder offers a wide range of advanced features in a lightweight package. It has a 0.55-inch black-and-white eyepiece viewfinder and a 2.5-inch fold-out/rotatable LCD screen. Zoom capabilities range from 16x optical/32x digital to a special-effect zoom equivalent of 120x (although the special-effect zoom compromises picture quality). With 0.8 LUX illumination, you can film in light lower than that from a single candle. Many exposure controls come preset, such as auto backlight, auto white balance, and auto shutter, but you do have the option of focusing automatically or manually. 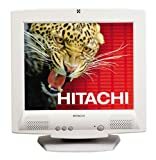 Along with the exposure modes, the Hitachi VME545LAVP features a package of built-in special effects including mosaic, mirror, negative-positive, and panoramic shots. You can fade in and out with one of six programmed fades. This model also includes flying erase heads to keep transitions between shots smooth. After a year of shopping, my wife & I decided to experience this puppy. Granted that all plasma t.v.s look great, this one on the show floor looked a tad better, so we sprang for the extra bucks after first getting a sale price, then a 10% discount ontop of an additional 10% discount. It was merely a horribly expensive unit instead of obscenely expensive that way. At home, we had an installer scheduled to come out and mount it on the wall, but we couldn't wait and went ahead and did the installation on the pedastle, which is a two person job and takes about 3 hours, with the constant fear of dropping something on the screen. We didn't break anything, but I don't recommend self installation unless you have nerves of steel. Probably not a great idea. 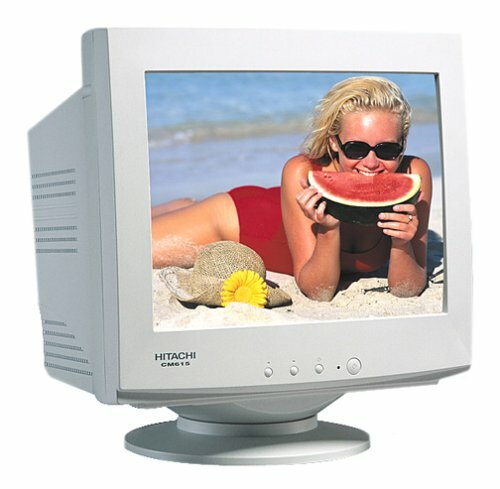 You have two modes on the Hitachi and 3 modes on the cable box to scale the image, and they seem to fight eachother resulting in a less than stellar picture. I actually prefer analog for quality when all settings are done. I would suspect the same issues with Satellite, but I'm not ready to add that to my gadget list to be sure. Special note for folks who have "movie on demand" fantasies. NONE of the "movies on demand" are HDTV format. Maybe next year. I'm disappointed, but with my cable company, not Hitachi. 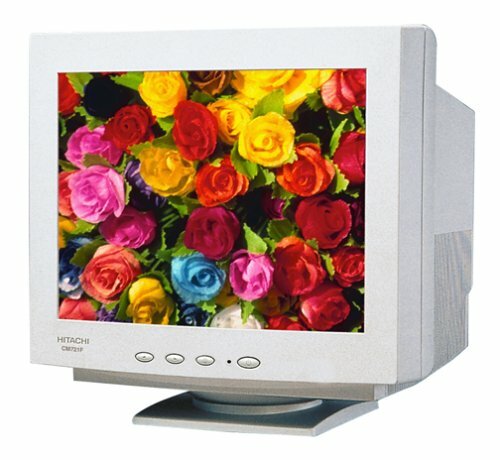 3. digital 1080i cable t.v. 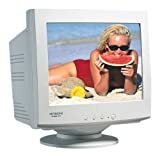 Granted, this device is not a 1080i display, it's 1,280 by 780, but however it down-converts the signal, it's an amazingly clear picture. The only concern you might have is looking at the imperfections on people's faces that are normally invisible. I mean, how many of you will find your attention distracted by looking at the details of the hairs growing from a mole on the interviewer's face. Sometimes, detail it too much of a good thing, but by all that's holy, it's remarkable detail and quality. My suspicion is that satellite folks will love this mode too. HOWEVER, there are very few HDTV channels right now, and I'd say, like all t.v. wasteland material, maybe 1 or 2 has something interesting. 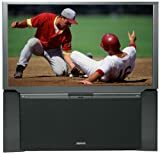 A high quality display that looks fine, but you'll discover that frame sizes vary depending upon DVD producer's whim and you may find yourself toggling among 6 different display modes trying to find one that won't burn-in and that looks good too. I don't have the HDTV composite version of a DVD player so I can't comment on that and I blew my toy budget for the next 3 years so it'll be a while before I know how wonderful that feature is. This is the worst image quality mode, due to the source. however the analog variable image scaling works well, and the picture is better than when displayed on the baby 30 inch sony 3:4 that this replaced. Jury is out here. I've hooked 3 different PCs into this and know for sure that your milage will vary. Depending on which version of Windows you have, whose display driver you have, etc, etc, you will either get a stunning image of your desktop, or a stunning distorted image of your desktop. Be warned a 1280 X 780 display is obviously not the top display mode debugged by video card driver makers. It's not that you won't get it to work, but you may find that your actual display size is, well, funny. Hitachi has a nice "auto size" mode that at least gets the desktop to fill the screen, irrespective of what the video card driver wants to do. You can browse easily, clearly, and start shopping at once for a wireless keyboard and mouse. We did. There were actually three settups done for us. The one my wife & I did, the one the official installer did, and the one the cable boy did. Each of us knows how a system should be wired, and how the universal remote should be programmed. At the end of the day, I had THREE universal remotes, sony, cable company, and hitachi. Each programmed by the mad mind of the perfect configurator. At the end of the day, the universal remote that works best is the Hitachi, which surprised me. The cable guy insisted that it would never work with the cable box. I discovered that it works better with the cable box than the universal remote that came with the cable box. That doesn't mean you will have ONE universal remote. Mixed vendors = mixed results. I can now get by with TWO universal remotes, provided I keep a third nearby. Driving 5 different vendor's devices with 2.5 remotes ain't bad.